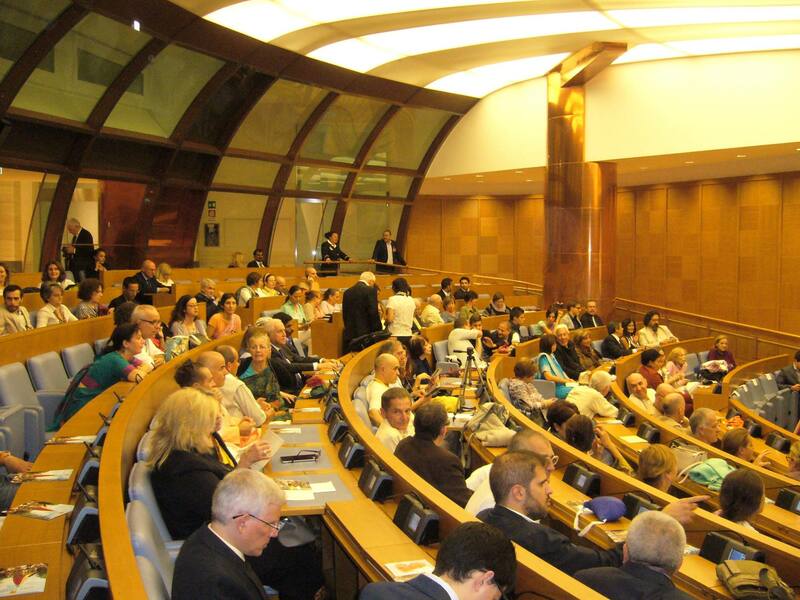 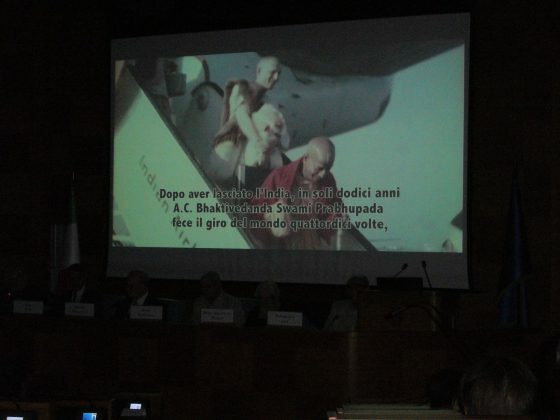 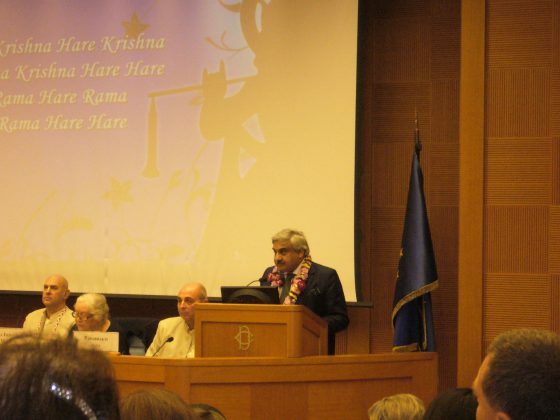 The conference was entitled “Fifty Years of the Krishna Consciousness Movement: Srila Prabhupada, Messenger of Peace and Spiritual Knowledge” and it was held at the Chamber of Deputies, one of two houses in the Italian Parliament’s bicameral legislature and a spot where all major political decisions are made. 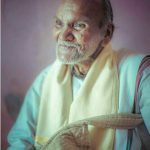 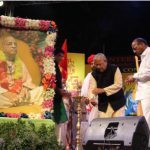 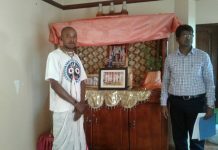 At least one hundred devotees of different ages and “ashramas” or stages of life represented ISKCON at the conference, and the Vice President of the Chamber of Deputies introduced it. 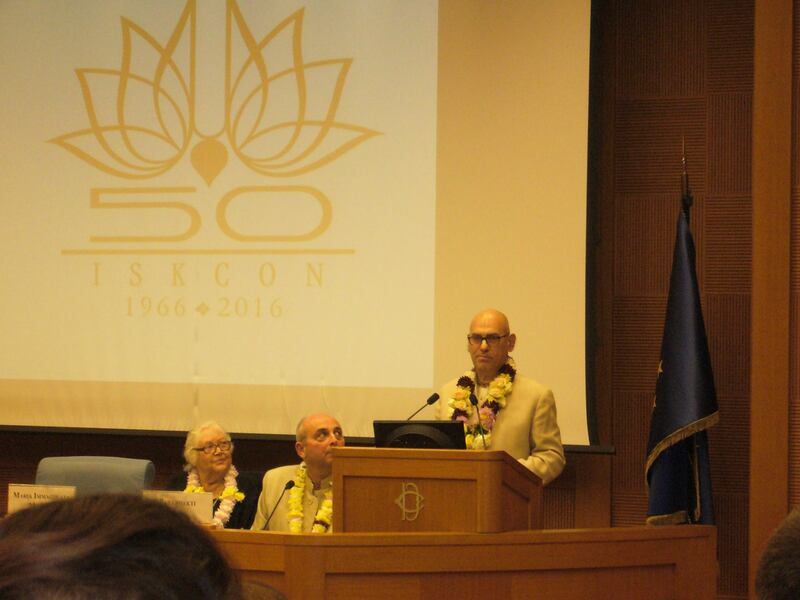 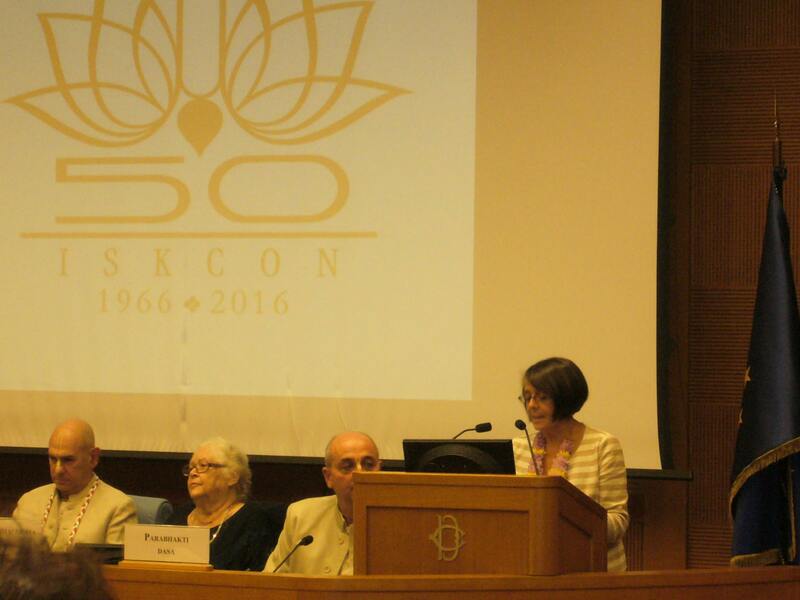 There were be speeches by Madhusevita Das, President of the ISKCON Italian Confederation, and Parabhakti dasa in the role of Italian Confederation Vice President and Communications Director. 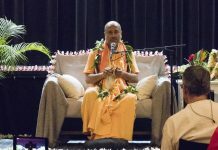 The event included also bhajans, a prasadam buffet, and a screening of the twenty-minute documentary film Hare Krishna: 50 Years of Service and Joy, which showcases ISKCON’s many impressive contributions to the world. 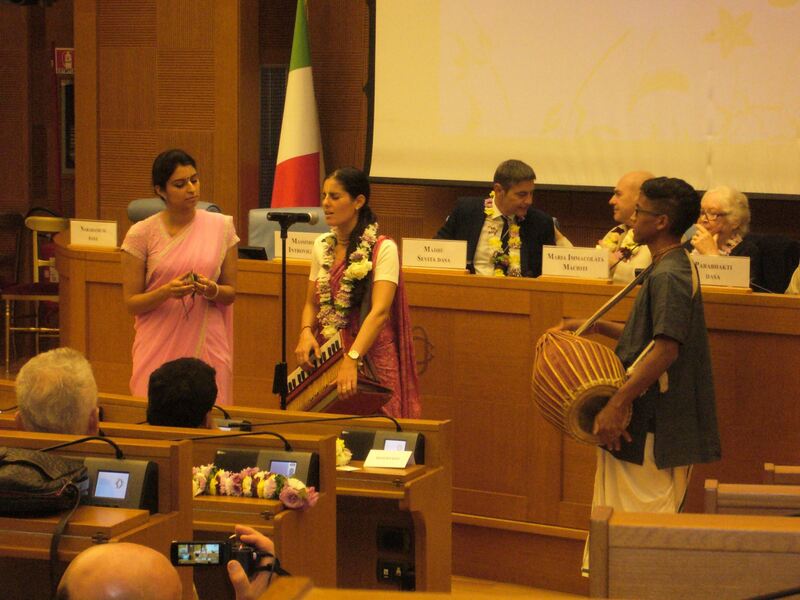 All Members of Parliament received Italian language editions of the ISKCON 50 magazine “The Hare Krishnas: Celebrating 50 Years” in their mailboxes. 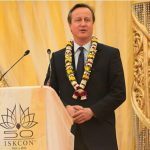 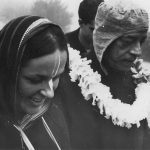 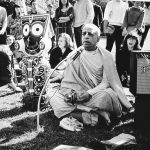 The magazine is an easily accessible introduction to ISKCON and its founder, history, beliefs and works. 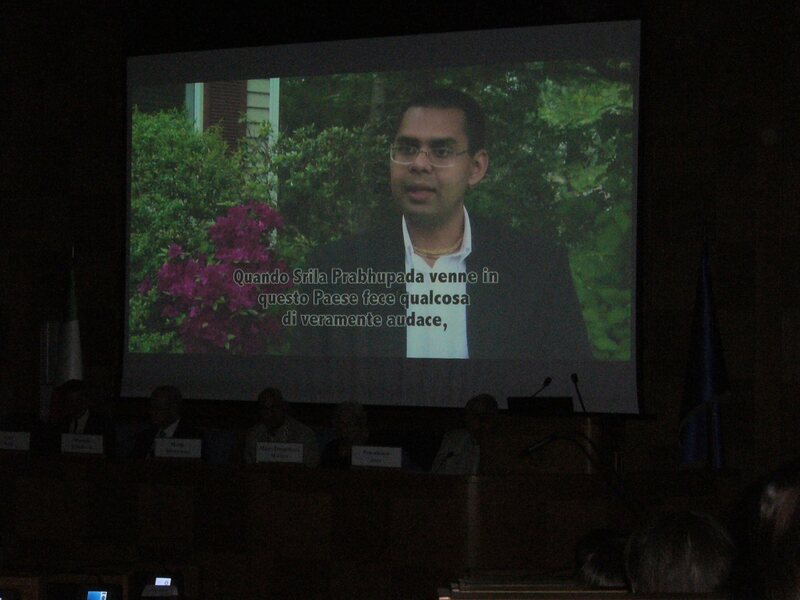 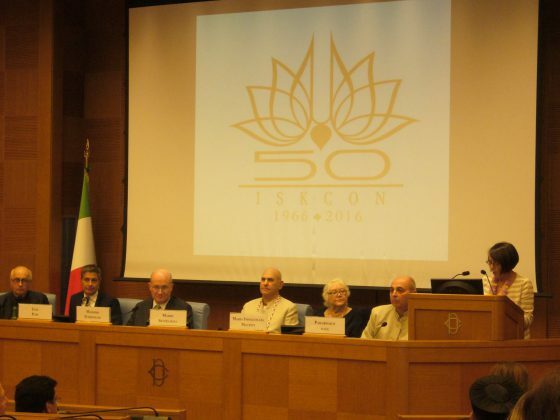 There was a strong media presence at the conference, as it was considered to be a historic event for ISKCON Italy.